We just came up with a girly use for Plastimake in our office: Made a tamp to repair a shattered pressed powder eyeshadow, using another eyeshadow pot as a mould. Perfect finish! 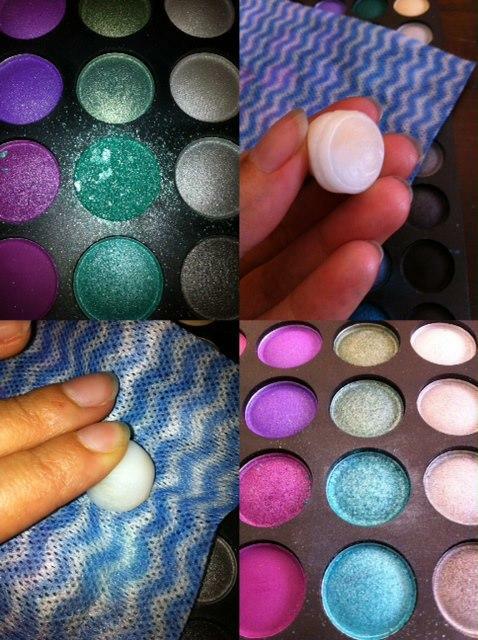 Before pressing the pigment, the loose powder is mixed with alcohol to make a thick paste. A clean Chux wipe between the pigment and the tamp soaks up the alcohol that gets squeezed out as you compress it, leaving the pigment behind. The texture is an added bonus. It's really hard to find a rounded item that compresses the pigment perfectly. Hooray for Plastimake's versatility!